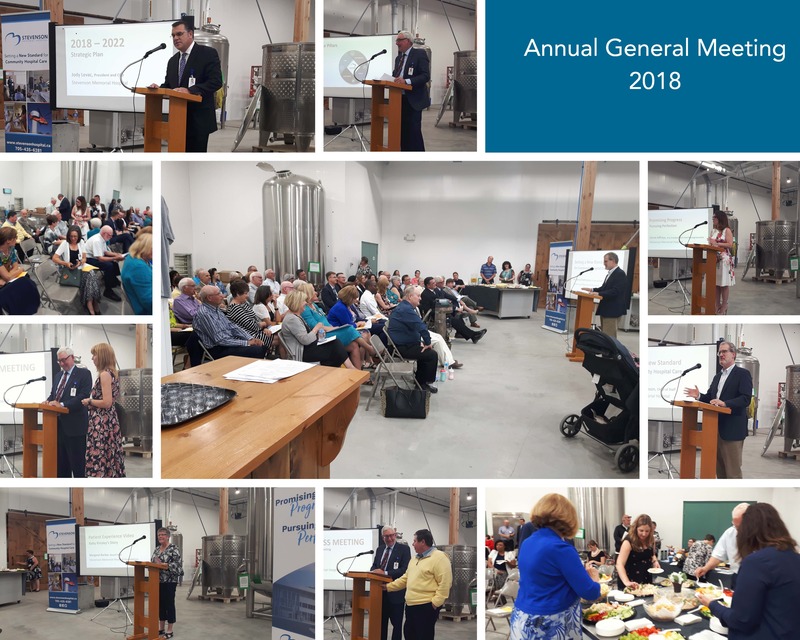 On June 19, 2018 the hospital unveiled its new Strategic Plan at the Annual General Meeting. Thank you to the many Board of Director members, committee members, hospital leadership, volunteers and the many managers, hospital staff, foundation staff and community members in attendance. Special thanks also goes to Dr. Barry Nathanson, Chief of Staff for his key note speech, to Amanda Laver and Brad Regimbald for sharing their family's touching story and to Beattie’s Distillers for hosting such a lovely event. We are so grateful for everyone’s support. Together we will set a new standard for Community Hospital Care.